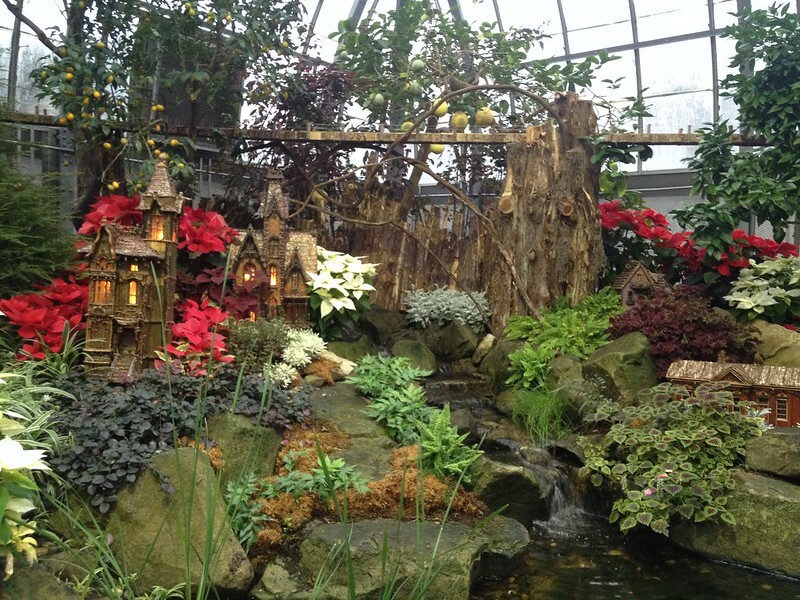 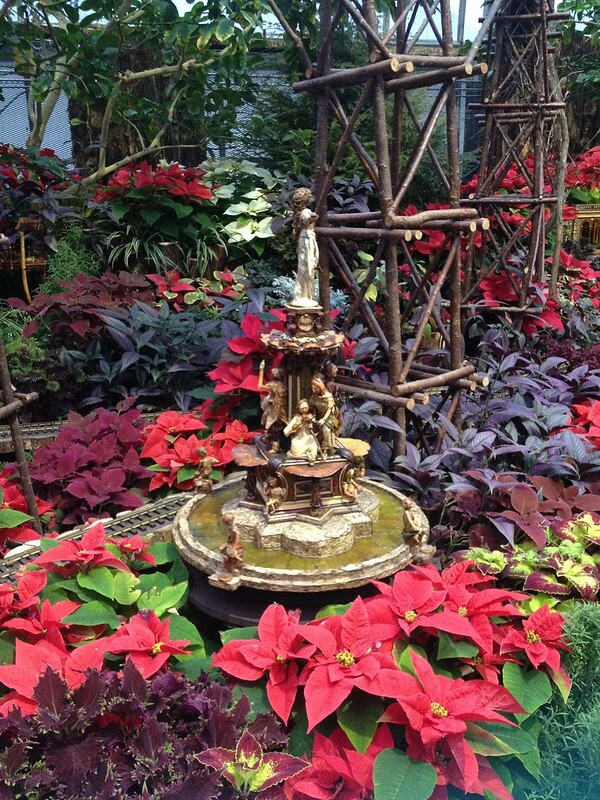 A Queen City winter tradition is visiting the annual Holiday Show at Krohn Conservatory. 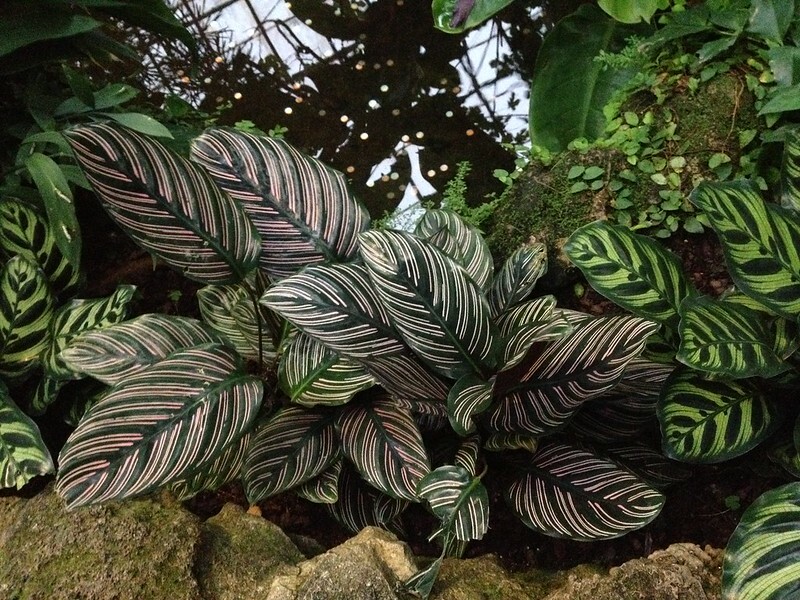 Decorated with over 3,500 species of plants, each year the conservatory creates a theme unique to our city. 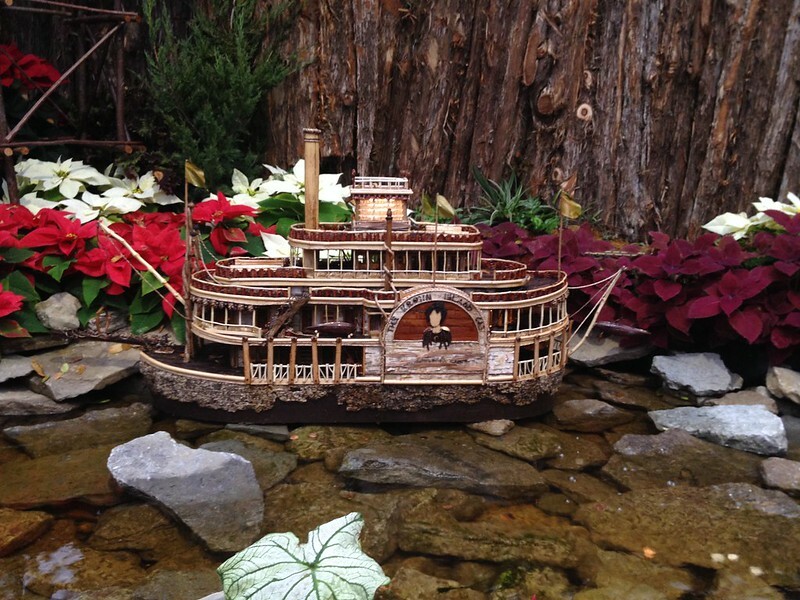 This year's feature is A Cincinnati Scenic Railway, which we had the pleasure of visiting thanks to tickets from my friend Nedra of Adventure Mom. 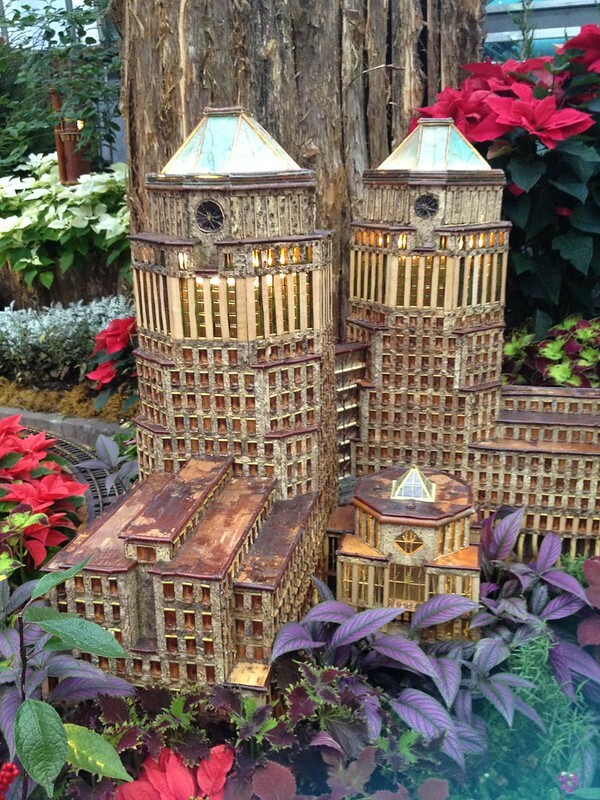 The show features many iconic Cincinnati landmarks such as Union Terminal, Moerlein Lager House, P&G Headquarters, Great American Tower and the Tyler Davidson Fountain as well as a riverboat with real smokestacks. 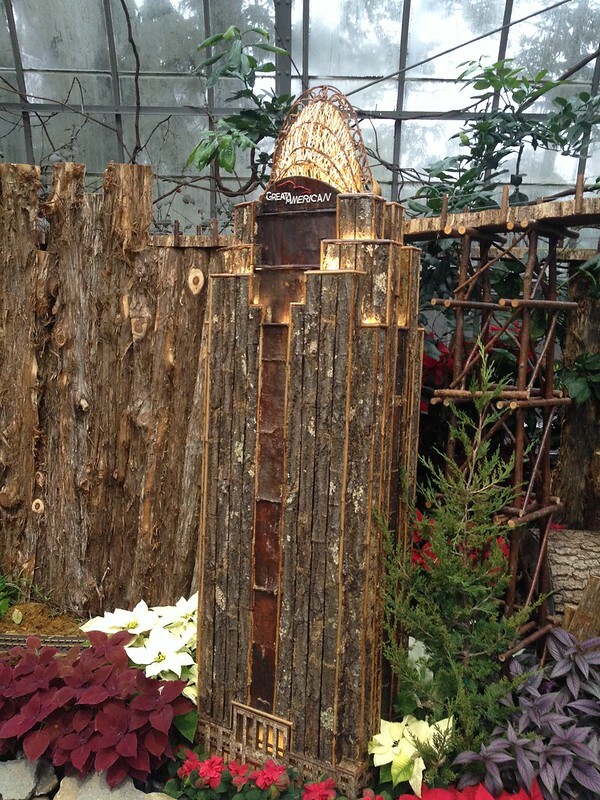 All of the structures are made from pine cones, nuts, bark, sticks and moss. 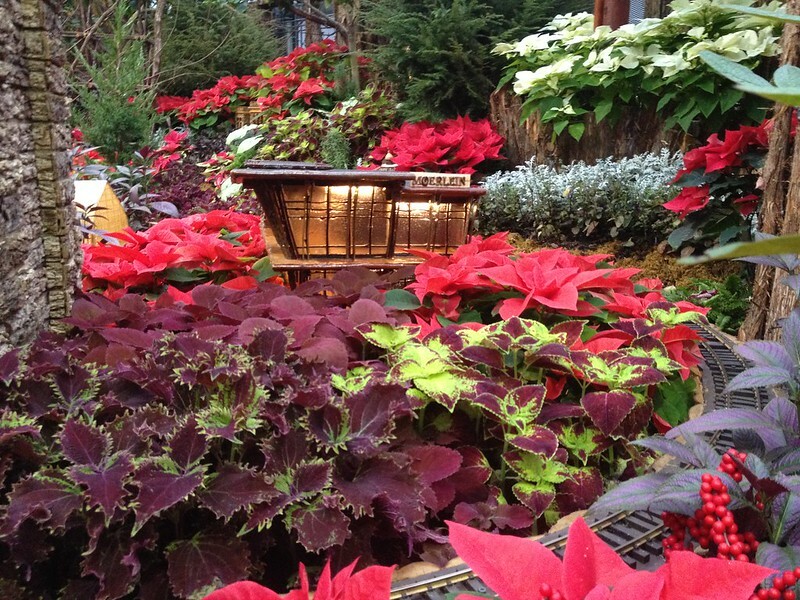 Surrounding the buildings are colorful seasonal flowers, such as red poinsettias, amaryllis, white edged spider plants, purple persian shield, and spicy rosemary. 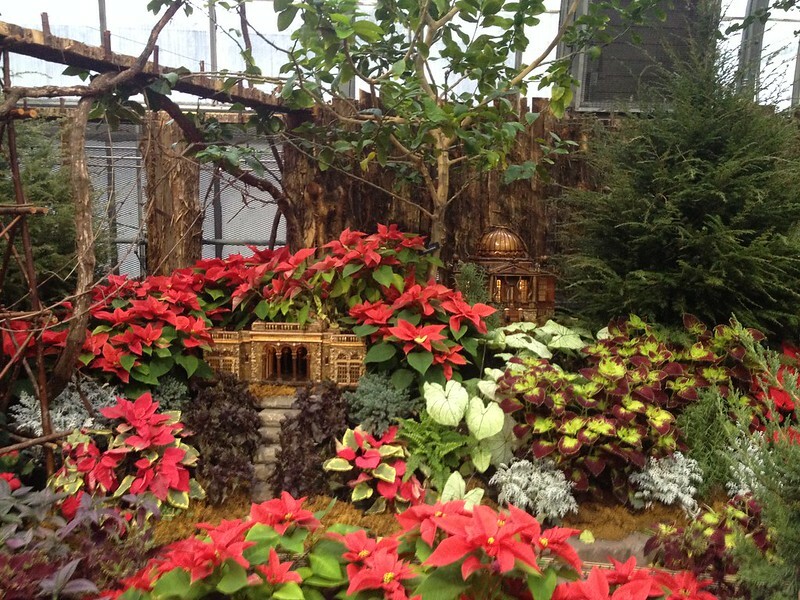 In addition to the flora, visitors can enjoy the Nativity Scene in the courtyard of the conservatory. 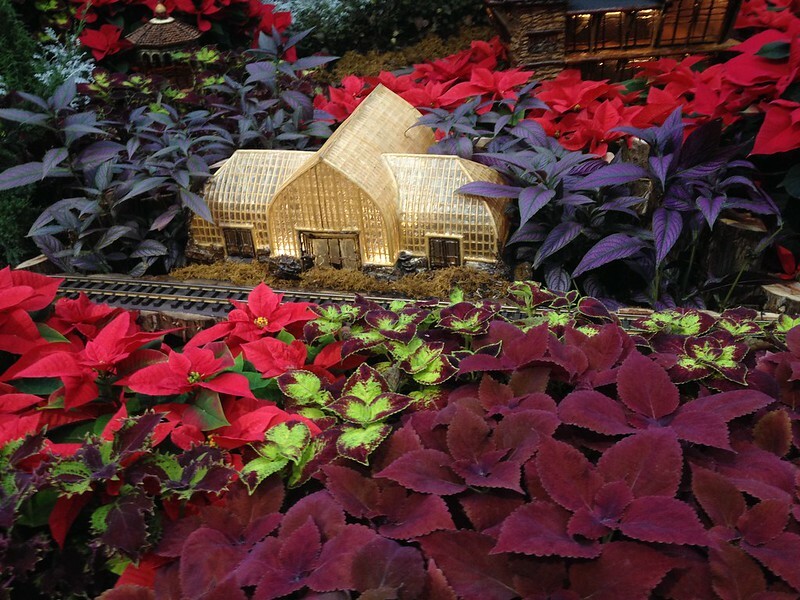 In its 75th year, one can view live sheep, a cow, and a mule inside the barn. 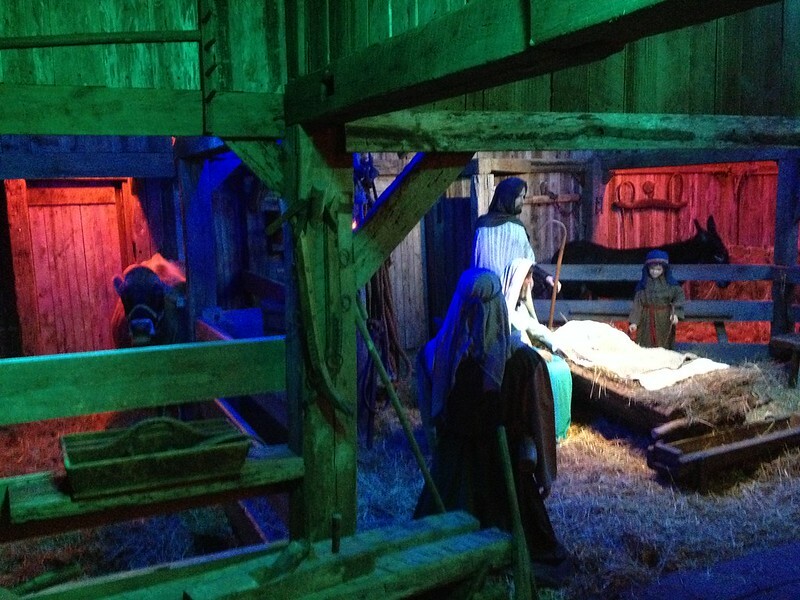 To note, unless, the sheep wander up to the fence, this is not a petting zoo Nativity Scene. 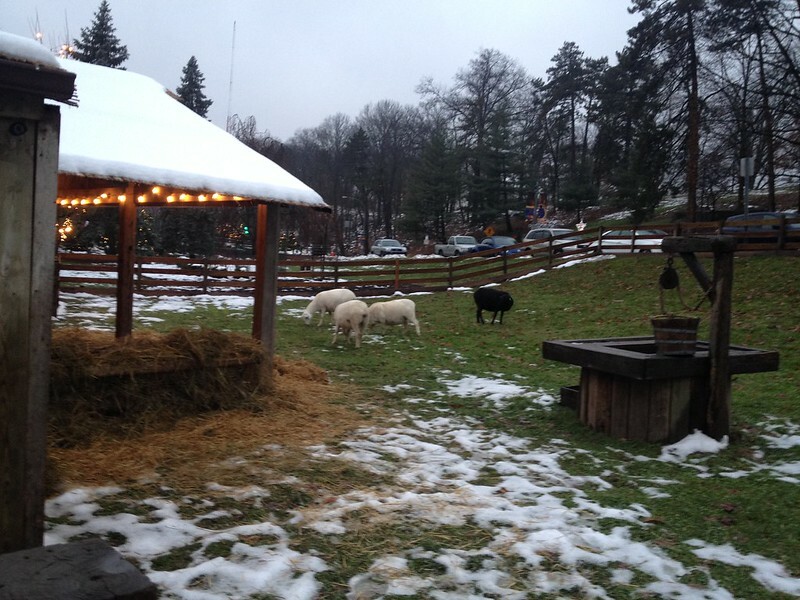 The cow and mule are fenced off far from the walkway, and the sheep tend to be grazing out in the yard. 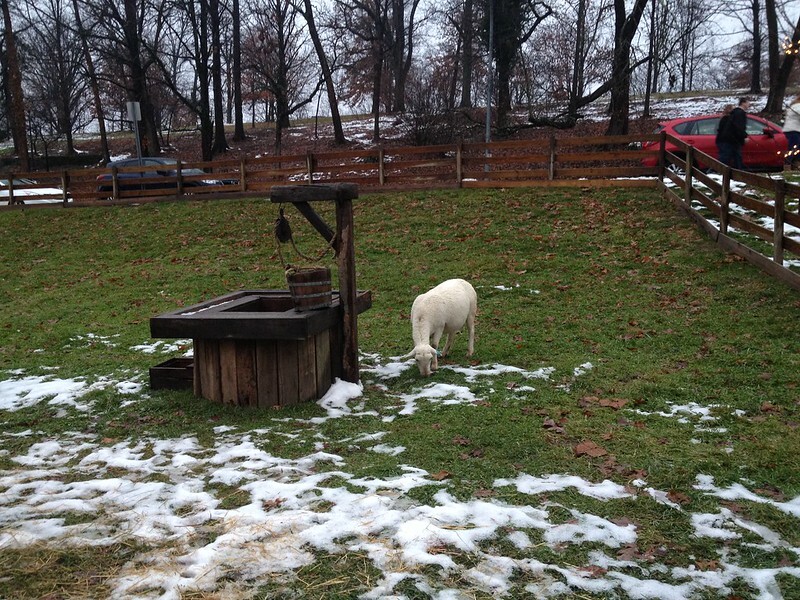 Fun to see, but if you have a hankering to pet some livestock, I suggest checking out the Over-The-Rhine petting zoo for some hand-to-wool contact. 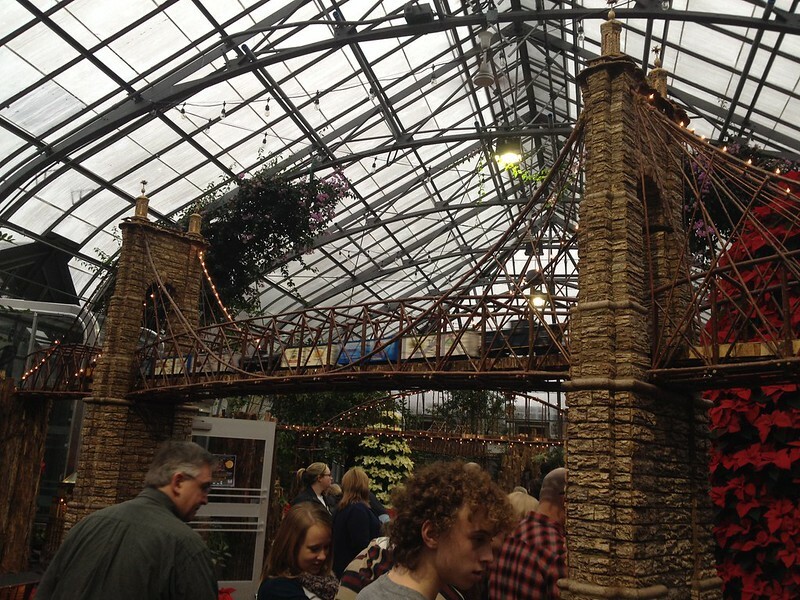 A river runs through the exhibit, as well as train tracks that cross over a Roebling Suspension Bridge that spans the entire room. 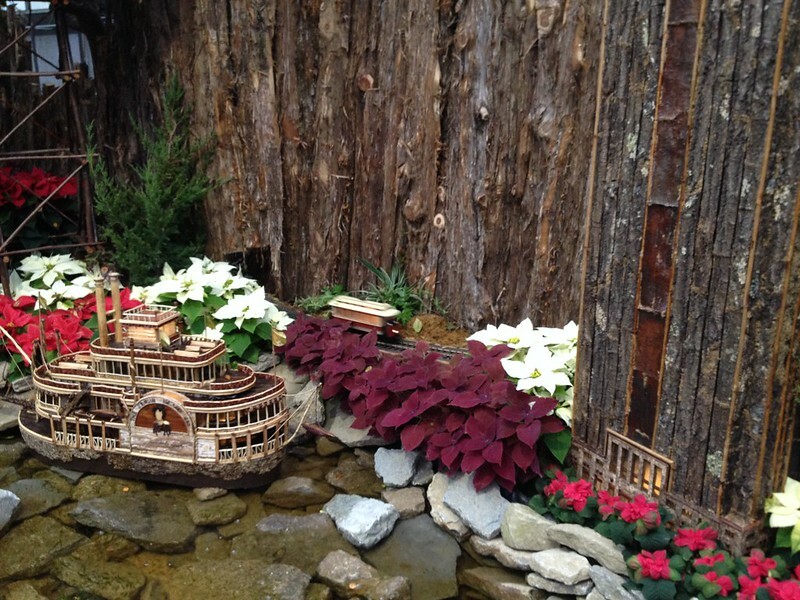 See if you can spot the streetcar zipping along the tracks near the entrance, as well as a recreation of the Mount Adams Incline. 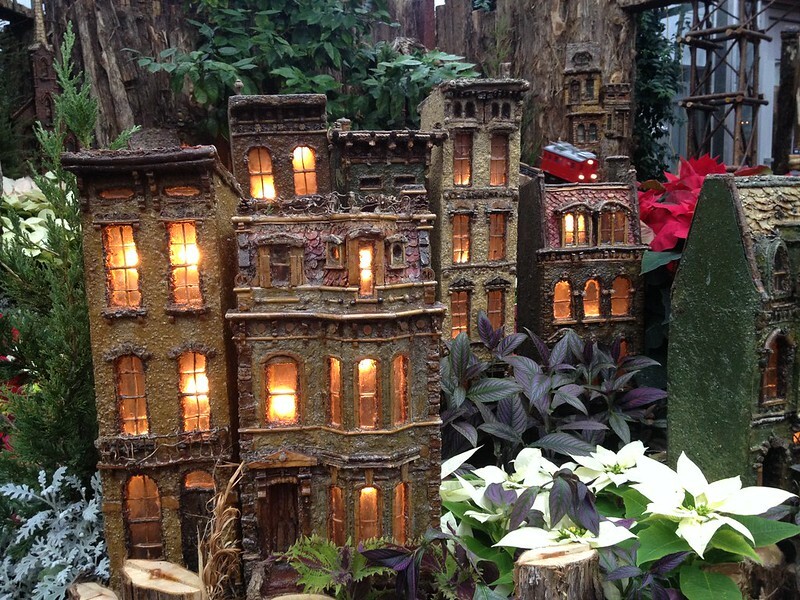 A Cincinnati Scenic Railway highlights the history of our city's seven hills and all of the culture, food, architecture, and parks that can be found within. 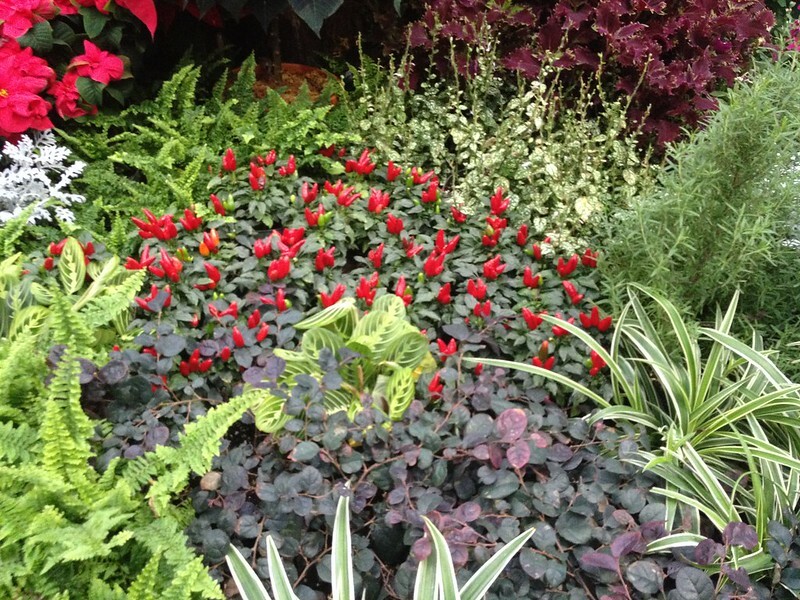 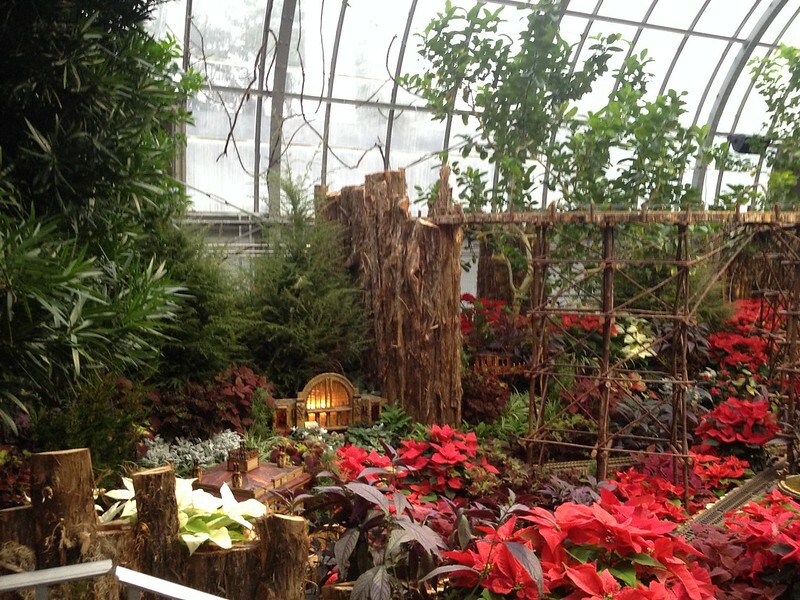 Krohn Conservatory's Holiday Show runs through January 5. 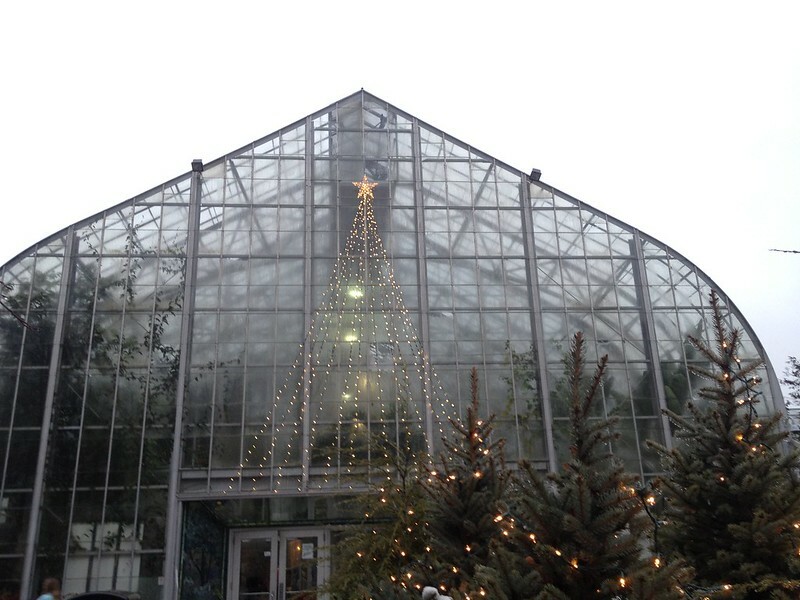 Admission is $7.00 for adults, $4.00 for children, and free for children under age 4. 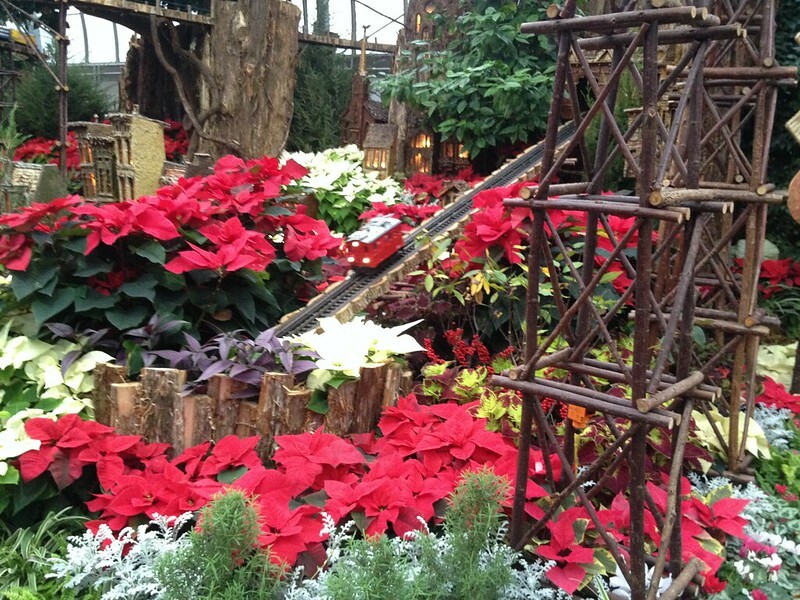 Download a coupon for $1.00 off admission.